Okay, if you buy anything from the Nordstrom Sale you have to buy these leggings. They are only $34 and OMG they are so comfortable. You can wear them as work out leggings or just as regular leggings. Everyone needs these! This shirt is also my favorite. You can't see in this picture but it has cutout details on the shoulders. My Phone Case is also on sale. I wasn't planning on getting this silk blouse. But I loved it when I tried it on. I love the color for fall it is a great basic. This black moto jacket is one of my favorite purchases. It also comes in a burgundy color. I am wearing xs. My jeans aren't on sale and the exact copy of these shoes are on sale here. So I love the Zella leggings so much that I had to go and get another pair. I LOVE these. They are on sale for $42.00. I love the mesh cutouts. So cute for working out. I have been needing a new workout type jacket. So I saw this one and thought it was perfect. The back is even cuter. It has ruffles not he bottom. I wore this dress yesterday to run errands in the rain. It was so comfortable. I love that it is much longer in the back so it works really week as a dress but it would also be cute with leggings. My hunter boots are here and these are on sale. And my bag is here. Okay I know I bought so many tunics. Ha! But this one was just to good to pass up as well. It runs true to size. I like that it is not as oversized as the lush tunics I got. 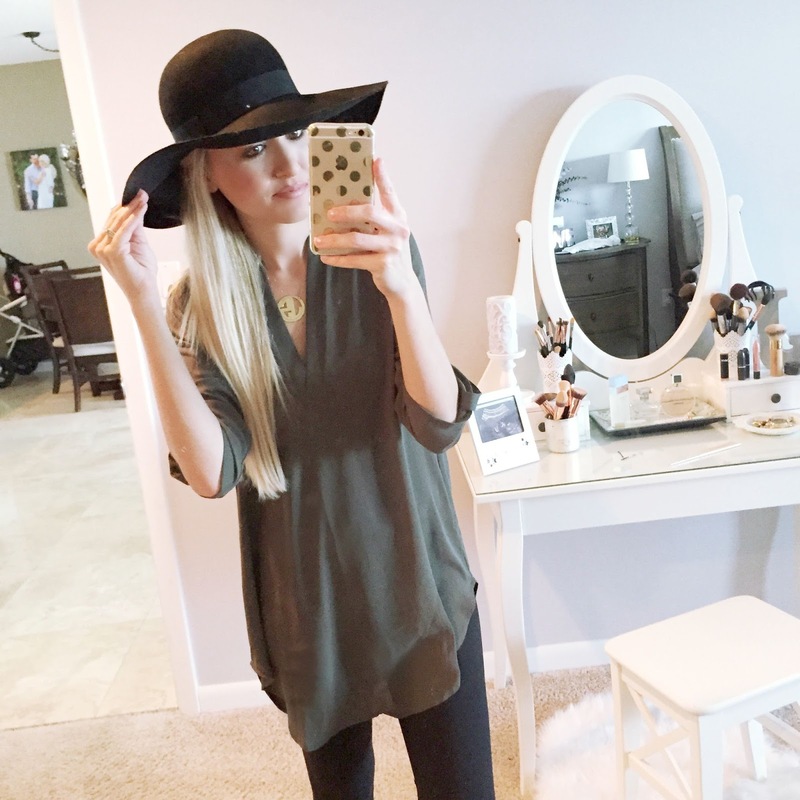 It is such a great basic to have in your closet. These are the Zella leggings again. 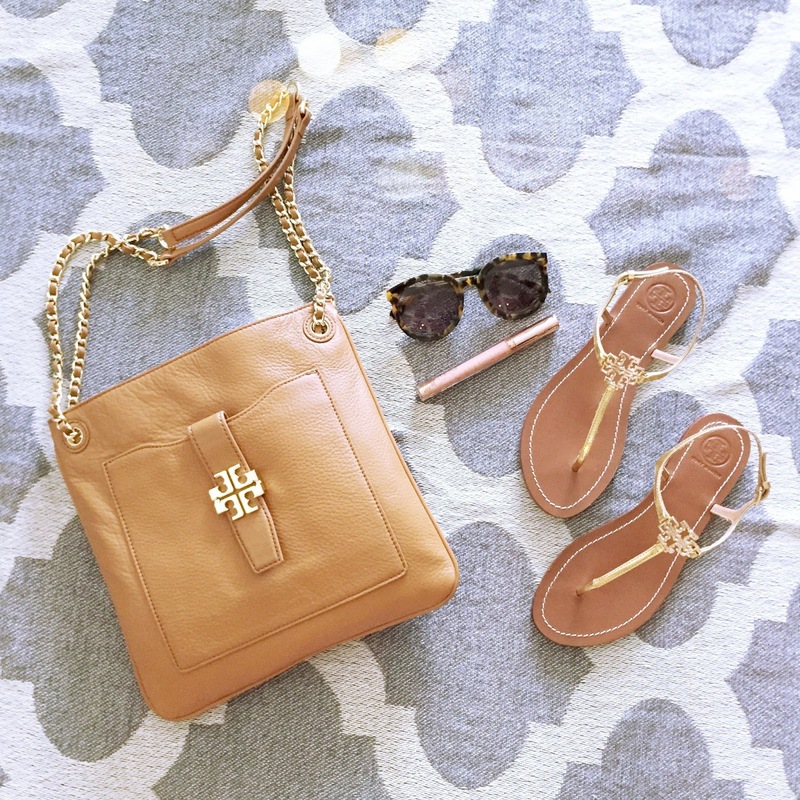 This Tory Burch bag is such a great deal. I love this bag because it can be carried different ways not just as a cross body. And these Tory Burch sandals are so comfortable. I have been on a sandal kick lately. I love these and they come in three different colors. My sunglasses are here and this Kardashian lipgloss in Natural Honey is my new favorite. I got it at Ulta. I got this tunic in two colors because it is so good. I am wearing extra small and I think it runs a little big. I also really love this tunic. I am thinking of getting it as well in a different color. Faux leather leggings are really popular for Fall. I love these because they aren't leather all the way up to your waist, so they are really comfortable. They would be so cute with boots. 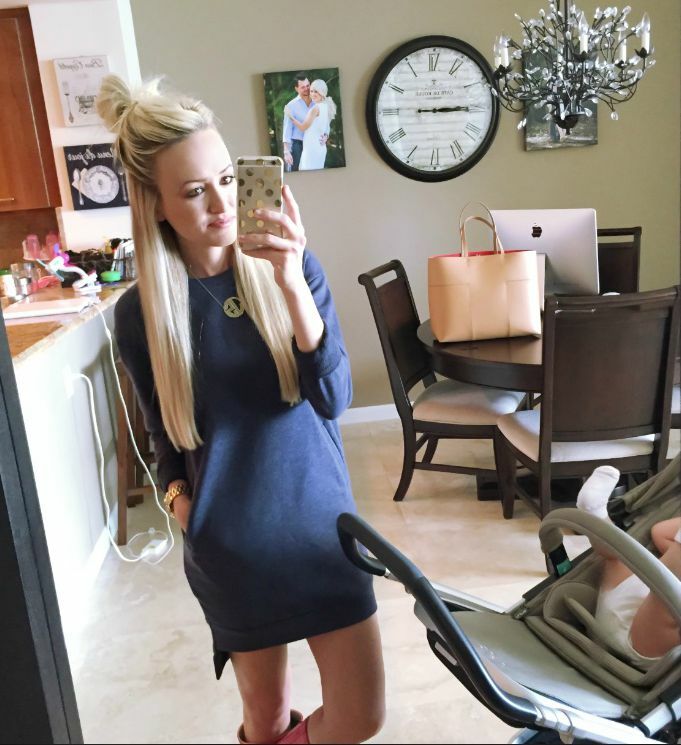 Zella jacket again and I can not believe these Zella leggings are on sale for $28!. I love the color. I am really excited about these. This shirt again! And these skinny jeans that I love but are already sold out! These and these are both on sale. The Sale opens up to everyone that isn't a Nordstrom card holder today! I am still waiting on a few things in the mail. It seems to be taking forever. Happy shopping! I am headed to the mall today to pick up some of the things I linked below. Like this plaid top and this jacket. Also i am obsessed with these boots and this sweater. Both are perfect for Fall. I hope you all have a great weekend. Thank you so much for reading. I love all your picks!! So cute! These outfits are all so cute! I bought 2 pairs of the Zella leggings and I'm obsessed! I'm thinking about purchasing more. I live in leggings in the fall and winter. Have a great weekend! So many great purchases you have done, looking forward to see them all in outfits later! Loving that shift dress. Looks so comfortable and versatile! Hi! Where is your vanity from? I love this and am looking for a piece like this for my bedroom. I bought a couple of tunics too and I am so excited to get them!! I wear them in regular in extra small. I like them to be a little bit oversized but not to much. I actually have never tried them in the petite. But I would think I would get a small in the petite. I would try petite if you felt like the regular was big. Nice selection. I love the Tory Burch pieces! are these the zella high rise or slim fit?